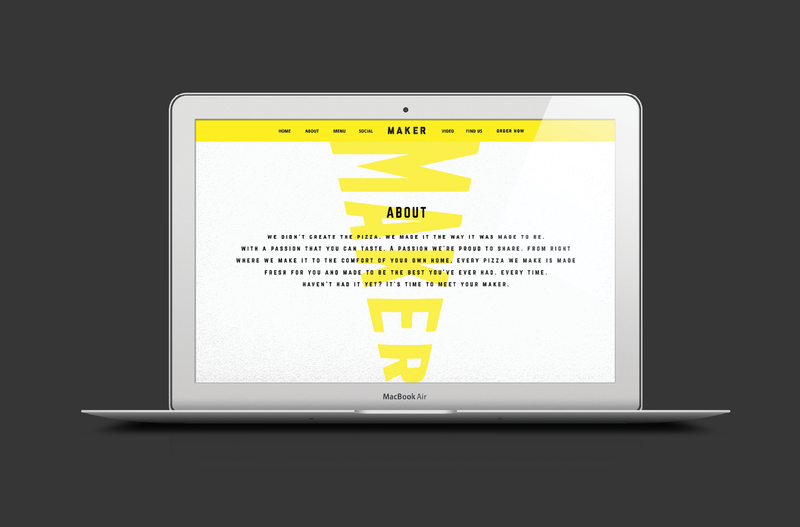 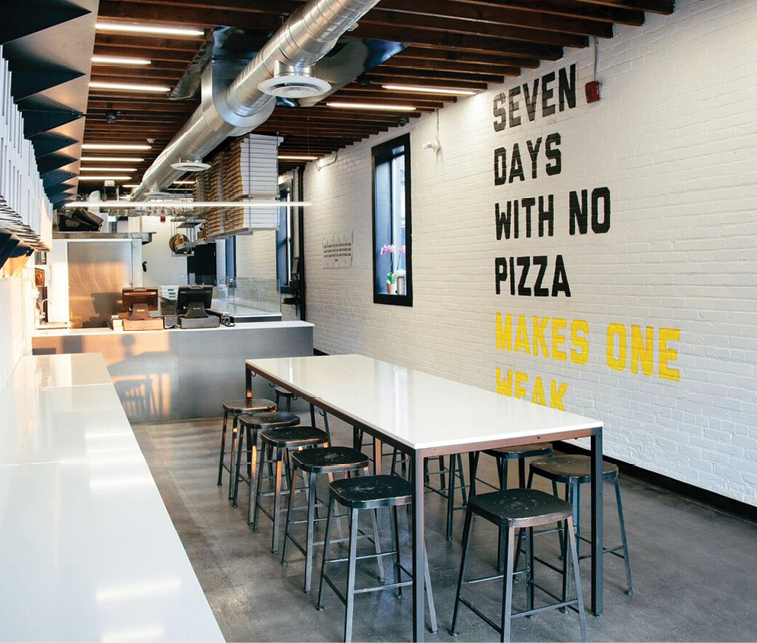 When it comes to branding a pizza place, the result is often cheesy. 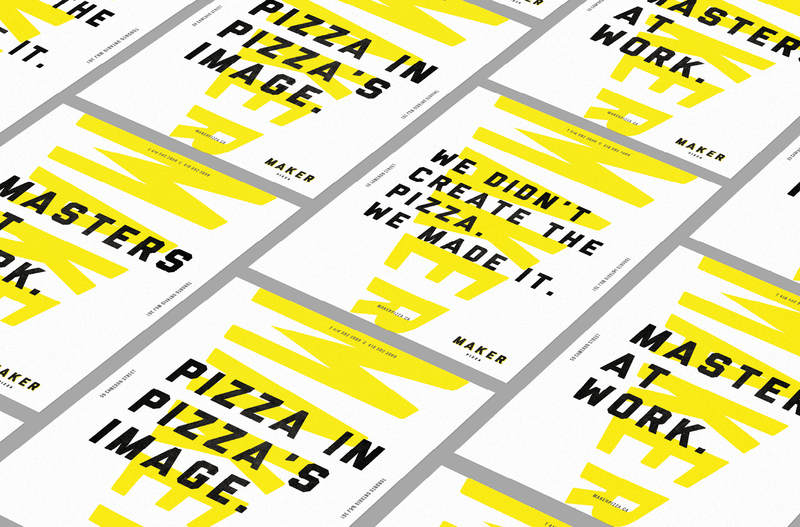 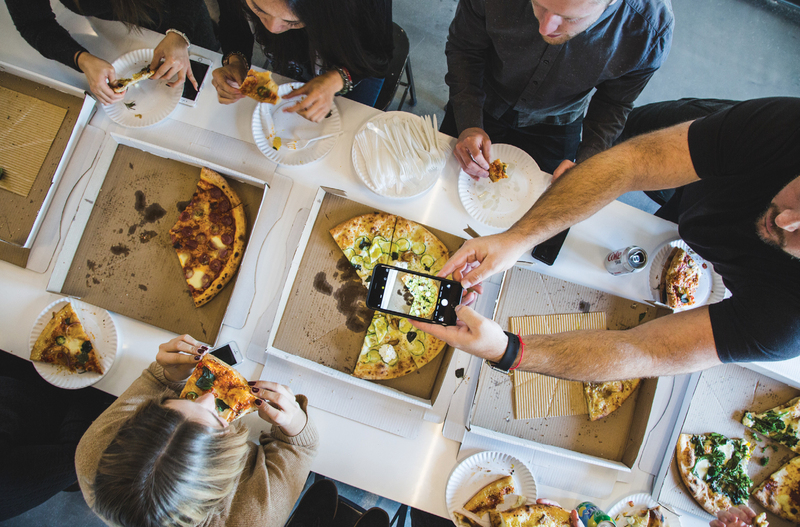 So when Shlomo Buchler, formerly of FBI Pizza, tasked us with creating a new brand with an identity far from the status quo, we ate it up. 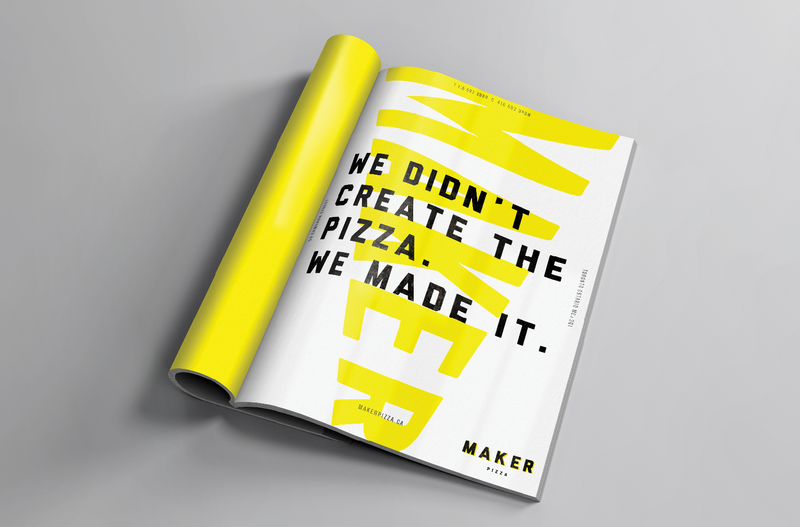 Avoiding stereotypical Italian cues, our goal was to hero the product specifically, communicating that Maker delivers the absolute best pizza in the city. 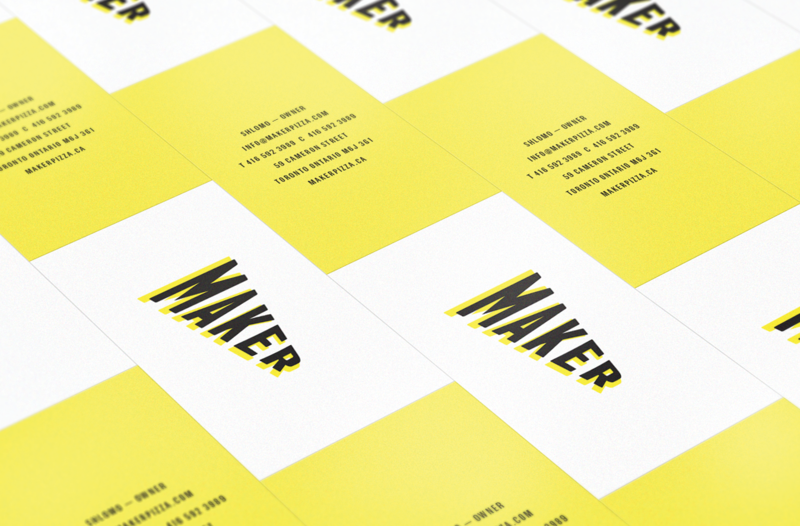 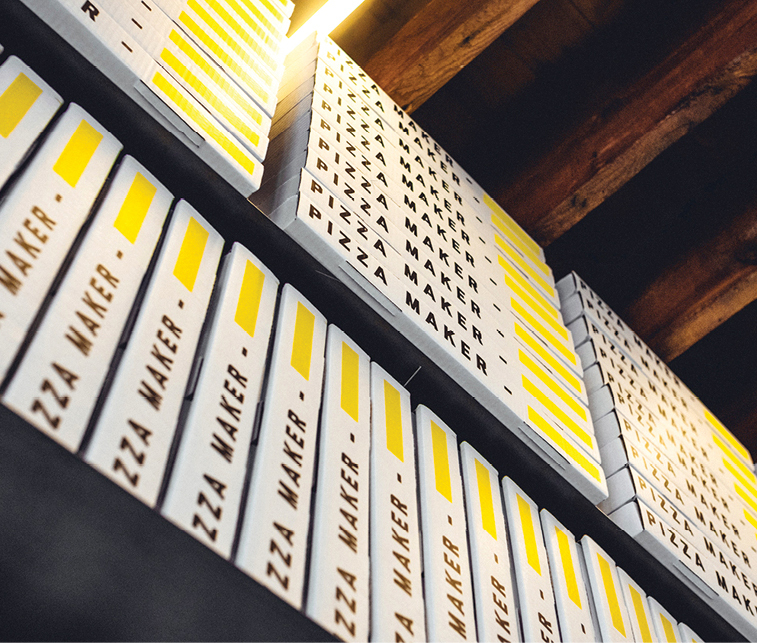 Taking cues from the restaurant’s industrial brick building and a workmanlike attitude, our approach was to highlight the pizza maker, with each one stamping their name on every box that goes out the door. 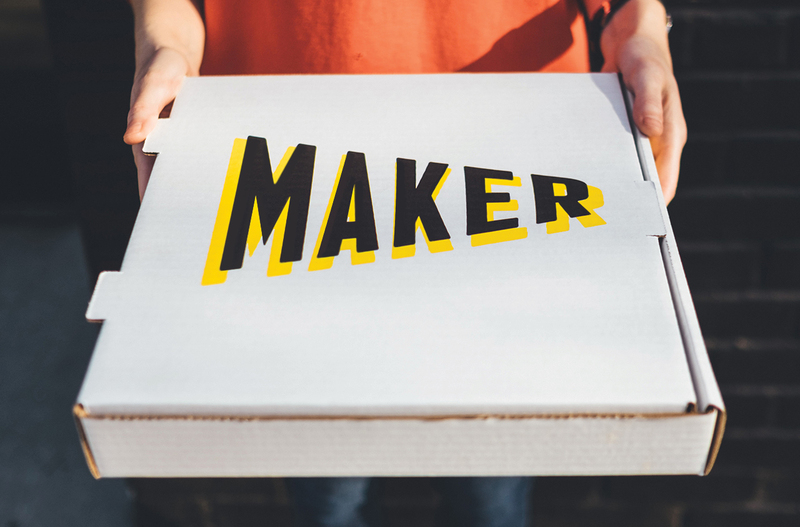 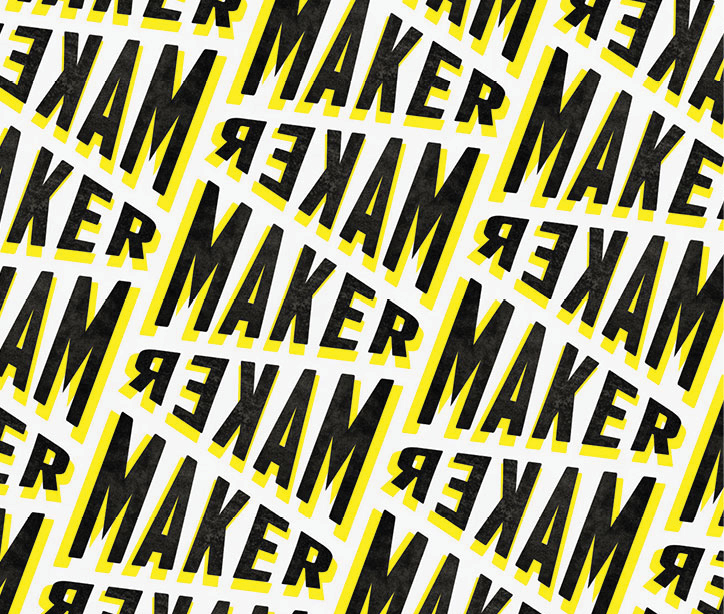 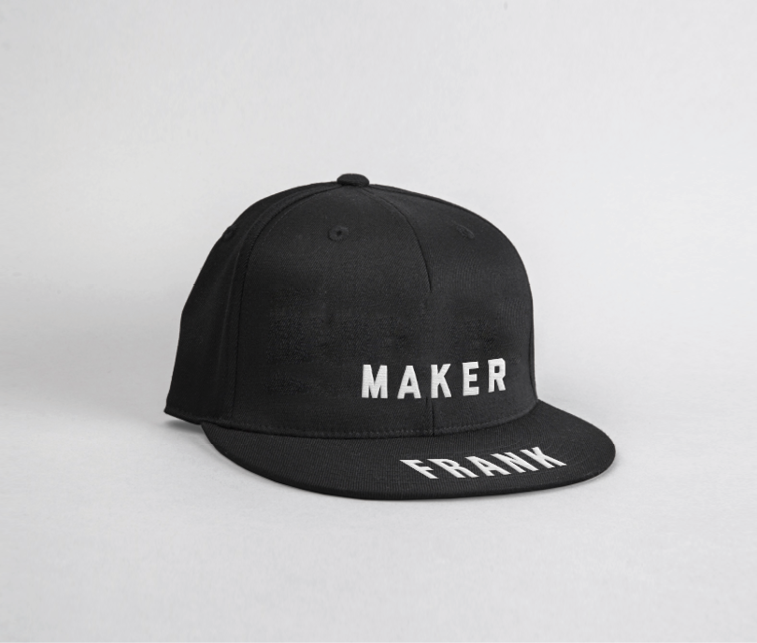 Bringing a chef’s mentality back to a food often disregarded as a late-night last resort, the Maker branding inspired an evangelical pride about their product. 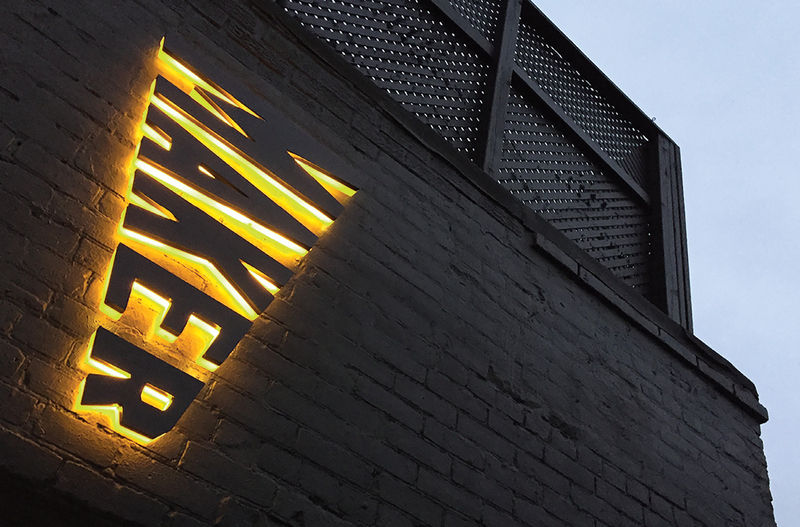 As it says on the wall in front of the kitchen, it must be made perfect, or it must be made again.